By celebrating Easter, we celebrate the resurrection of Jesus Christ’s from the dead. This is Christianity’s most important holiday. Easter doesn’t have a set date and the celebration vary from year to year. Astronomical Easter is always on the first Sunday after the Astronomical full moon. Every year the date varies between March 22 and April 25. Every year Easter is preceded by a 40 days long period of fasting and preparations for for the holiday – called Lent. The week before Easter is known as Holy Week and is a really special part of the christian tradition. The last three days of this week have unique names. They are called: Maundy Thursday, Good Friday and Holy Saturday and with them we celebrate the following events: Jesus’ entry in Jerusalem, the Last Supper and the Crucifixion. In some countries Easter is being celebrated only for two days, as the second one goes by the name “Easter Monday”. Most countries, however, celebrate a whole Easter week. The origins of the holiday! 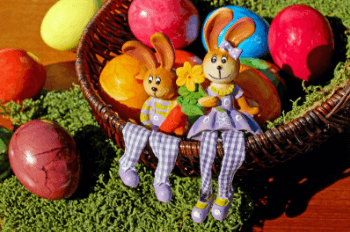 Easter is a christian festival with which we celebrate the resurrection of Jesus.That said, the Easter bunny is undoubtedly one of the things that you subconsciously think about when you hear or read the word Easter. So why do we wait for a rabbit to visit us and give us eggs or why do we even paint eggs and what is it’s connection to the actual origins of Easter? The truth is that this festival has pagan roots. The most common legend that you will come across is the one about the goddess Eostre (also Estre, Estara, Eastre, Ostara etc.). It is told that she was “goddess of the east (from where the sun rises)” and her symbol was the hare. The Saxons held a festival called Eatre during the spring equinox to honor her. She was also worshiped by the Babylonians as Astarte or Ishtar – goddess of fertility (a symbol of fertility). 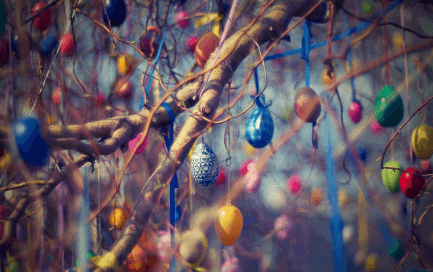 It is supposed that the tradition of friends exchanging decorated eggs starts from ancient Egypt and Persia. They were doing that in the beginning of every New Year. The eggs were a symbol of fertility for them, because they were amazed by the fact that alive creature can come out of an egg. 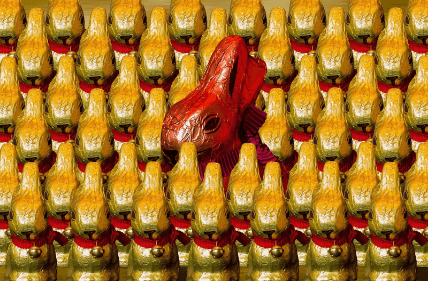 Christians of the Near East adopted this tradition, and the Easter egg became a religious symbol. It represented the tomb from which Jesus came forth to new life. The symbols of the holiday! One of the most iconic symbols of Easter are the eggs. In the past all of them were painted red with chicken blood. This way was mimicking the blood that Christ shed during his crucifixion. Of course we don’t use that method anymore. Nowadays on this day it is a tradition for many Americans to colour hard-boiled eggs. They are specially decorated and the first one is always red. The most common way of painting the eggs is with container filled with mixture of water, vinegar and food coloring. As the egg is placed in the container with the help of a spoon and you must wait for up to 5 minutes until it gets colored. After that just leave it aside to dry. Of course there are also lot’s of other ways to paint the eggs. Every one of which will make them more interesting and unique. Crayons, stickers, acrylic paint, fake tattoos, markers. If you decide to search for a new way of decorating them, the internet will provide you with many ideas how to do it. I am sure that no one try them all for one Easter. Of course let’s not forget about the game of egg tapping. (Also known as egg fight, egg knocking, egg packaging, egg boxing, egg picking etc.). This is the most fun part of the festival! The rules are simple. One of the players holds a hard-boiled egg and taps the egg of the other. If your egg doesn’t break you win! If it does… well just peel it, eat it, grab another and start a new game. rabbit carrying а basket with colored eggs, candies and sometimes toys to the homes of the good children. The Easter Bunny is known as a folkloric figure and symbol of Easter. It arrived with the German immigrants who settled in Pennsylvania. In their tradition it is presented as an egg-laying hare called “Osterhase” or “Oschter Haws”. In the past the children were making nests in which this hare could lay its colored eggs. He is also playing the role of a judge determining, if the children are good or bad and if they deserve a gift. 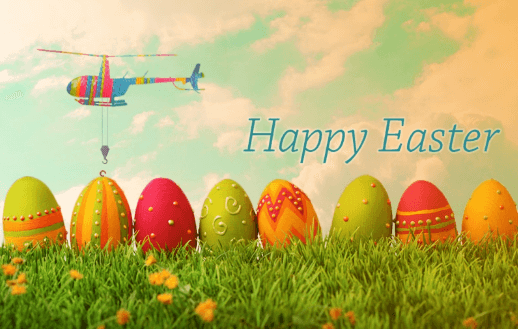 As the time passed, on Easter Sunday he started bringing chocolate and toys in addition to the eggs and decorated baskets replaced the nests. People all around the world celebrate this holiday no matter christian or pagan. Every year many hard boiled eggs are being painted and everyone are getting into an egg fights. It is really fun tradition and it brings family and friends together. Not to mention all the chocolate bunnies, eggs and other candies that are just waiting to be eaten. 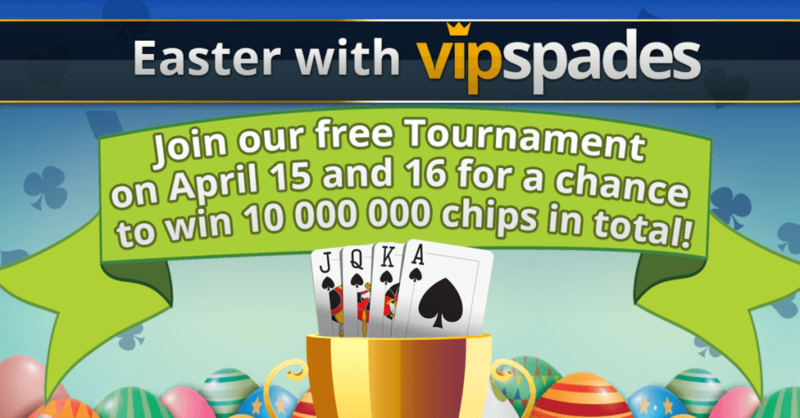 We at VIP Spades definitely love this festival and have made a special FREE Easter Solo Tournament, so that we can all celebrate it together! With entry fee of 0 chips and a prize pool of 10 000 000 chips! Don’t miss it! Join us and have fun!